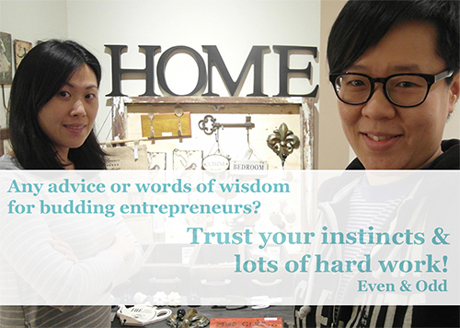 When Winnie Yip launched her Toronto home decoration and vintage goods shop Even & Odd in spring 2012, her target market was working people in their 30s and 40s. That group is likely to shop online, but building an online shop is “quite hard for a small shop like ours,” Yip says. She found the answer when a staffer from Shopcaster Inc., also a Toronto business, dropped into her store. Shopcaster provides Even & Odd with a ready-made e-commerce capability, part of a wider marketplace with about 180 merchants selling online. It’s easy to update products for sale, she says, and when an order comes in, Even & Odd just has to print the shipping label and slap it on a box. There are a range of options for small retailers looking for an easy way to sell online, but those options vary, so none is right for everyone. For instance, ShopLocket aims at retailers with a fairly small number of products to sell. Someone with a catalogue of thousands of products probably wouldn’t use it, admits Dan Kalmar, the service’s community manager. And for those who want to sell through other retailers, she says, a marketplace like the U.S.-based Etsy could send the wrong message. It’s seen mainly as a market for hobbyist businesses, she says, and retailers might take you less seriously if they see you there. Those looking to other retail channels also need to be careful about offering goods online at a discount. Even & Odd entrepreneurs Carmen and Winnie have branched into e-commerce with Shopcaster. Ottawa-based N-Product uses both Shopify – an Ottawa company that gives retailers their own e-commerce sites – and Etsy. Co-founder Dominic Coballe says Shopify is more business-oriented, and praises its back-end dashboard that “really helps us organize our inventory,” but says Etsy gives him access to a large community of buyers. Etsy declined to comment for this story. Sims recommends retailers look carefully at the up-front cost of whatever e-commerce tools they’re considering. She stresses that she means not just dollar cost but cost in time and effort. Ease of setup was an important consideration for HackerYou. ShopLocket was comparable in cost to alternatives, Payne says, so the company chose it because setting up new courses is quick and easy and because the experience for customers was good. Burton recommends businesses think about what they need, how complex the products they will sell are – are there many colour or pattern options per product, for instance – and how easy it will be to update information. Another key issue for most businesses, she says, will be integration with other software such as accounting and inventory systems.